A fusion of red and dark turquoise feathers atop a small sinamay button base. 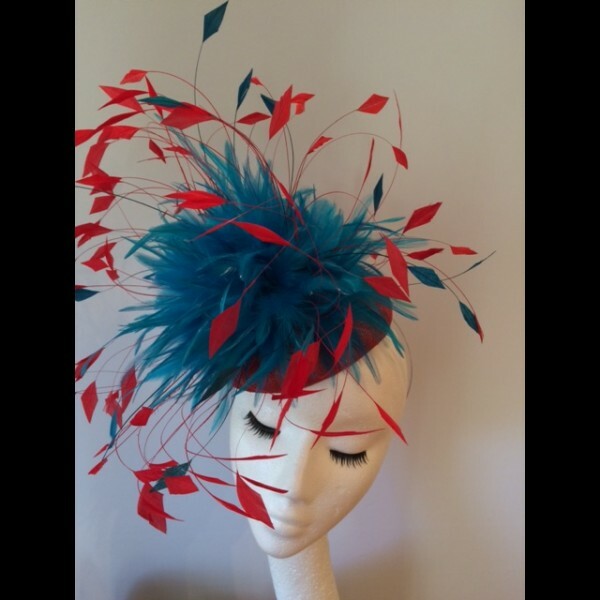 An easy to wear blended sinamay button base in red and turquoise mounted on a slim silver hairband with a small discreet comb fitting for security. 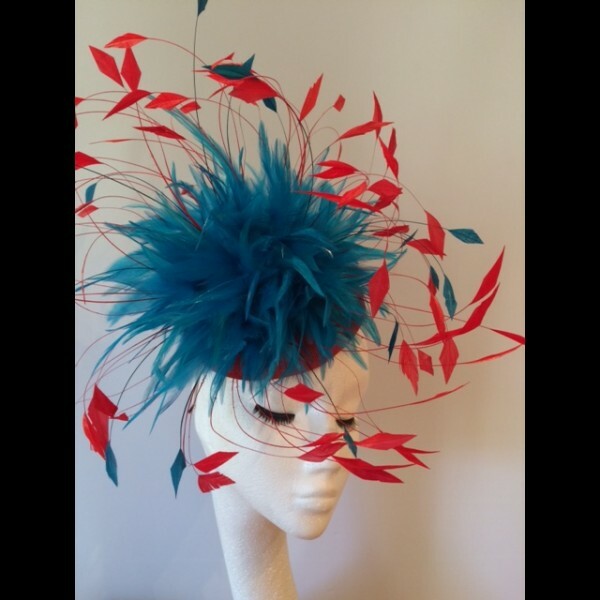 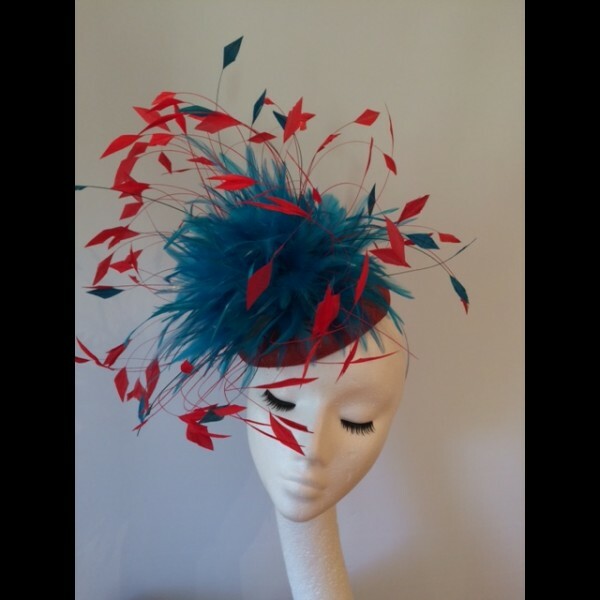 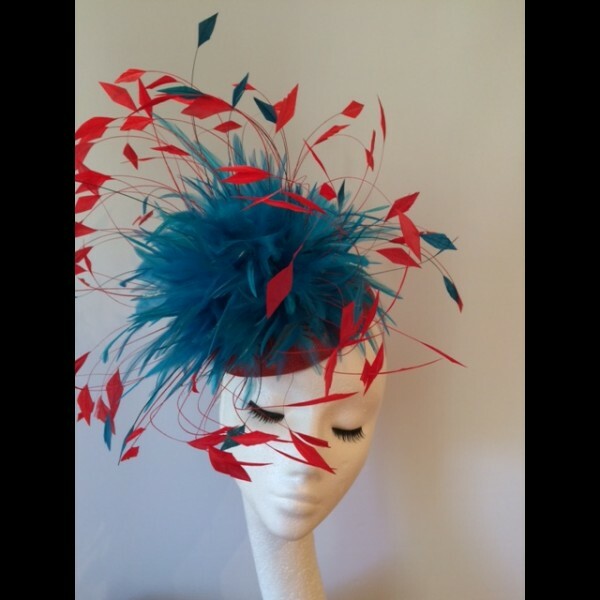 Topped with a fusion of red and dark turquoise coque feathers.